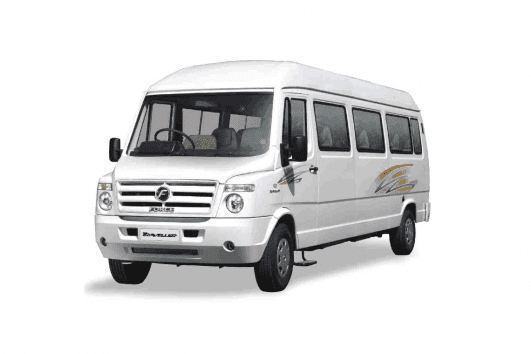 Our representative will be there to receive you on your arrival at Kochi International Airport / Railway station. After refreshment, we will begin our journey to one of the oldest and largest cities which is also famous for its cultural diversity. There are numerous places that depict the Kerala tradition and architectural grandeur. The Vadakkumnathan Temple is one of the oldest in the State. A classic example of the Kerala style of architecture, the temple has many ornamental murals and pieces of art. Remarkable murals on the Mahabharata decorate the walls of the shrine. The annual world famous Thrissur pooram is hosted in this temple. Sited amid Tekkinkadu (Forest of Teak trees) ground, atop a hummock, Vadakkumnathan Temple overlooks the city of Thrissur. The stone wall which encircles the temple and its premises comprises of about 9 acres of land. The prime shrine of this temple has four lofty gopurams and an enclosed complex. This complex has three shrines devoted to Lord Vadakkumnathan, Lord Sankaranarayana, and Lord Rama. Lord Vadakkumnathan (Lord Shiva) is the prime deity of this temple. This temple also consists of Koothambalam, a theater hall for staging Koothu, a traditional temple art form of Kerala. Shakthan Thampuran Palace sited in Thrissur town marks the royal residence. This is one of the major attractions for its heritage value and ages back to the time of the King of Cochin named Rama Varma Shakthan Thampuran. The king was a princely ruler, and the extent of his reign was known as the ‘Golden eta of Kochi’. The palace was built by the then ruler of Cochin and has thereby been named after him. The architecture of the palace is worth watching and should not be overlooked on a trip to Thrissur. It’s blend of Dutch and Kerala style of architecture. The palace also consists of a very ancient Sarpakaavu or Serpent Grove, where the serpent is worshiped as Gods according to Hindu belief. At the Southern side of the Shakthan Palace, we can see the Heritage Garden prepared recently that exhibit and preserve some of the ethnic plants and trees of Kerala. It also has an archaeological garden, where we can see collections from the Stone Age found from the outskirts of Thrissur. If one can seek prior permission, they can easily spend a family picnic in the immense and exquisite lawns of the palace. This is located in the heart of Thrissur and houses an enormous and valued collection of mural and relics from Kerala. Thousands of people swarm its exhibits to appreciate Kerala’s rich ancient past. This museum preserves an exceptional treasure of Veerakallu, temple models, ola – grandhangal (manuscripts on dry palm leaves), megaliths etc. Veeakallu or hero stones are stone engravings and sculptures of figures and weapons belonging to the bygone heroes. Most of these were recuperated from the forests of Wayanad and Thrissur. The megalith collection consists of earthen pots, urns etc. It has excellent representations in Plaster of Paris of the ancient temples in the State. The Art Museum exhibits a collection of wood carvings, metal sculptures, ancient jewelry, stone figurines and some Chinese and Japanese artifacts. You can see a sample of prehistoric dolmen or Kodakallu (umbrella stone), spotted around many places in Thrissur. The Kodakallu is believed to be a secondary burial site. With murals on its walls and ceilings, this Roman Catholic Minor Basilica has the largest church interior in South India. This is built in 1875 and believed to be the first Catholic Church in India. You can see the 140 ft long steeple, which is visible from anywhere in the town. The chapel has 15 altars and boasts of its neo-Gothic spires. It is locally famous by the name of Puthen Palli or Bible Tower. 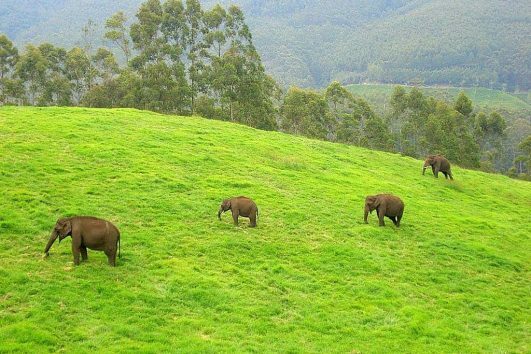 Vilangankunnu is a small hummock located just 7 kilometers away from Thrissur town. This is one of the favorite picnic spot and amusement park among visitors who prefer to go for a weekend trip. This is the apt place in the city to sit and enjoy the sunset and to get a bird’s eye view of Thrissur. From there, our return journey to Kochi begins bidding farewell to the cultural capital of Kerala. Travelers will be dropped at the railway station or Cochin International Airport Limited (CIAL) according to their bookings.